(CBS) - The video game retail chain GameStop has requested employees to trash a coupon to play Deus Ex: Human Revolution for free on the online gaming service OnLive. 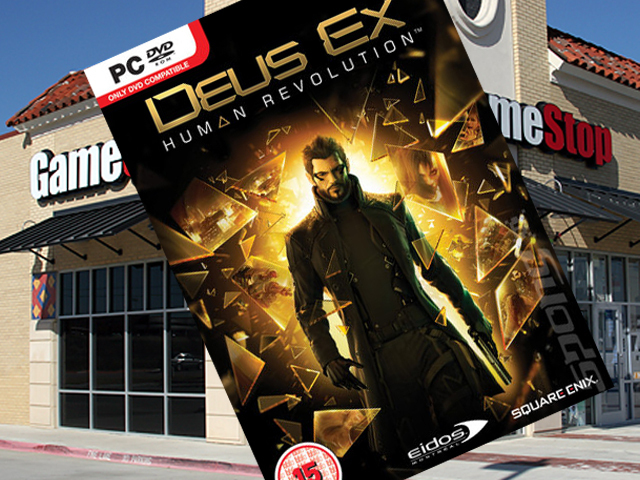 The coupon codes were pre-packaged with every retail copy of the PC version of Deus Ex: Human Revolution. Ars Technica reported, GameStop employees were allegedly asked to "open every game and remove the coupon." Rude! What a disservice to their customers?! According to the fan blog OnLive Spot, GameStop PR representative Beth Sharum confirmed the act and released this statement: "Square Enix packed the competitor's coupon with our Deus Ex: Human Revolution product without our prior knowledge and we did pull and discard these coupons." The Dallas Morning News got a second statement from GameStop with a similar message, "We pulled the coupons because, like all retailers, we prefer not to promote our competitors and their competing offerings and services in our stores. Unfortunately, the coupon was packed without our prior knowledge." At least they were honest. Deus Ex: Human Revolution was released Tuesday to high praises from critics and fans alike. In the game, we enter the world of ex-SWAT specialist Adam Jensen. Set in a beautiful dystopian future, the game is an action-filled adventure and role-playing thriller that requires players to make decisions that will resonate throughout the game. Thanks to GameStop's faux pas, OnLive just got a whole lot of free press.